You, Me and Movies: Review: "1922" proves that 2017 is a golden year for Stephen King adaptations. 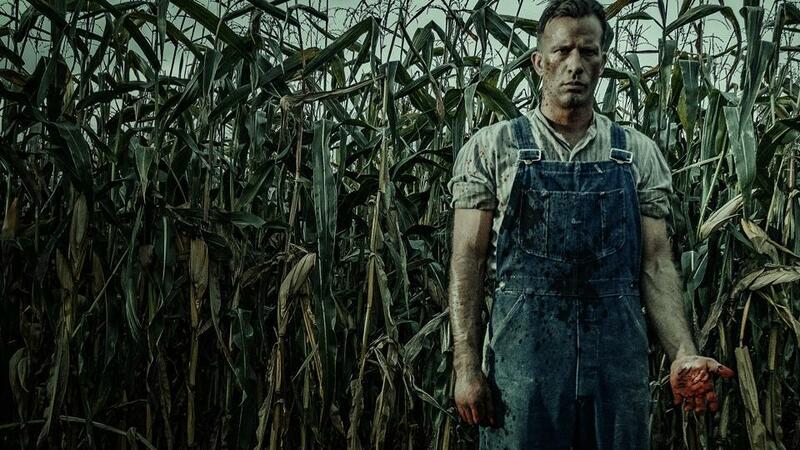 Review: "1922" proves that 2017 is a golden year for Stephen King adaptations. I must have jinxed myself. You see, when the year began, and a huge host of Stephen King adaptations were being pushed through the pipeline, I discussed how Stephen King was hard to adapt. I discussed how very few of his adaptations actually worked onscreen, and how his horror stories were especially difficult to adapt. Some say that nothing is impossible to adapt, it just needs the right cast and crew. But I truly do believe that some things can’t be translated to other media outlets. For the longest time, I didn’t think anyone could honestly adapt any of Stephen King’s stories. Well, 2017 is starting to prove that point moot. Yes, “The Dark Tower” may been completely unsuccessful. But “IT” was pretty spot-on for the most part, and I still stand by my review. I also really enjoyed Netflix’s “Gerald’s Game” and now the streaming service recently released “1922,” adapted from Stephen King’s novella. I am starting to think that perhaps Netflix should be in charge of all Stephen King adaptations from this point forward. I think “1922” is another winner. It’s not overt horror like a lot of King’s work, but there is some striking and spooky atmosphere that builds in the film, and there are plenty of content that will surely give you the willies. I am willing to bet big money that if you don’t have a problem with rats right now, you will after this movie. I suppose King himself is sacred of rats. The movie is about Wilfred, played to perfection by Thomas Jane. Wilfred is a rancher who is proud of the land he works on. His wife Arlette (Molly Parker) inherits some different land near the beginning of the film. The couple argues over what to do with the new land. Wilfred wants to add it to their farm, while Arlette wants to sell to their rivals and eventually move to the city. The couple can’t come to an agreement, and Wilfred sees only one way out. Wilfred will conspire with his 14-year-old son Henry (Dylan Schmid) to kill Arlette. Why not, Wilfred thinks. If Wilfred stays on his farm, then Arlette has threatened to sell her new land and move to the city with him anyway. She is really playing hardball with Wilfred, but he doesn’t want to part from his farm or his son. So together, they kill her. This is a very different kind of Stephen King horror-show. If you are expecting the typical gore fest, you are not going to get one. Besides a couple of small scenes, there is virtually no blood in the movie. If you are expecting crazy supernatural creatures and crazy visuals, you are not going to get that either. This is a very human horror film, human because it examines just how extreme guilt eats at us from the inside out. Henry feels it, and eventually Wilfred feels it too. It’s a movie that looks at how someone can live a lie for so long, and how it kills them to not admit it to anyone. It’s also amazing how the film avoids the usual conventions of this familiar device with ease. 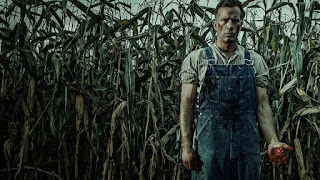 There is something very special about Thomas Jane, something that I have appreciated about the actor for as long as I’ve been paying attention to his career. Lots of actors get into a typical type-cast routine, even if they try not to. But Jane has always managed to stay original in each film. Who he plays in “Boogie Nights” doesn’t seem like the guy he plays in “Face/Off.” Neither of those guys seems like the characters he plays in “Stander” or “I Melt with You” or “Deep Blue Sea.” And none of those guys has anything in common with how Jane brought The Punisher alive for Marvel over a decade ago. He does something completely original every time he plays a new role, and I wish more people picked up on that, because he should be a bigger star than he is. Jane once again disappears into the role of Wilfred. At first, I had to keep reminding myself that it was Thomas Jane playing him, because he literally disappears. His Southern draw, his haircut, the way he position’s his face, we’ve never seen an actor come alive like this in a long time. I wish I could say he had Oscar chances, I wish he did, because this feels like a once-in-a-lifetime performance. The rest of the cast is pretty spectacular too. With performances by Parker, Neal McDonough, Kaitlin Bernard and Brian d’Arcy James all being memorable. Young Dylan Schmid emerges as a major talent here, and he could possibly end up as a young character actor who knocks it out of the park more often than not. There is some great energy and life to the movie. Even though I think the movie kind of “shoots its wad” a little early, it still doesn’t boringly slug to the finish line. It keeps things interesting even when it feels like the movie should be over. The performances guide the film, and the creepy atmosphere that builds is quite memorable. More than anything, 2017 is proving to be a year where we finally figured out King’s panache and that’s just good news all around. I could watch good Stephen King adaptations for days and days.